A number of my friends are massage therapists, and I have been known to apply the odd massage myself in the past, so I know that it is hard work. We decided to create an mp3 program to assist practitioners who worked with massage or physical therapies to provide a better treatment and with less stress and strain. Susan has had some special music commissioned especially for these tracks to accompany the massage sounds. This zip file is 93MB and will take some time to download depending upon your connection. Please be patient and allow to download completely. Comment from Susan – I would like to add a word of caution here, if you are a therapist – please ensure that your place is energetically ‘clean’, before playing these tracks. 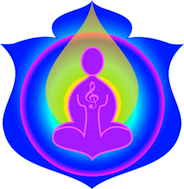 You could use the Daily Practitioner mp3 or The Clearing Sounds and Sensitivity. As you are no doubt aware, there can be an energetic ‘residue’ left behind by clients. Because of the purity of the sounds – they tend to act like a giant spotlight and they will sound ‘annoying’ or ‘irritating’ if the space is not clean. If you find this is the case, your space needs cleaning, or you or your client may have a negative attachment which needs to be addressed. Playing the other sounds listed above will ensure that you, your client and your space is energetically clean. These sounds when played in a clean space, with a clear therapist and client should be pleasing to the ear and relaxing on the body. ​Available as an mp3 downloadable take home pack – please be aware – the mp3’s come in a zip file and the file is very large – 91.2mb – so please be patient – the file will take a while to download!